Medical school is a transformative time for aspiring physicians, when relationships built with colleagues, advisors and mentors are as essential as mastering the textbooks and coursework. The University of Michigan Medical School’s M-Home, which launched with this year’s incoming class, is a learning community designed to give medical students more opportunities to focus on those relationships and other important aspects of their personal and professional development. Medical student houses compete against one another in a game of Operation during the M-Home Olympics. Photo by Leisa Thompson Photography. The M-Home will serve as a “home base” for medical students, allowing them to collaborate within smaller groups of classmates and faculty that will follow them throughout their medical education. Students will be assigned to one of four houses, each led by a faculty house director. Every house will include approximately 43 students from each class (M1-M4), totaling around 170 students, as well as 16 doctoring and coaching faculty. 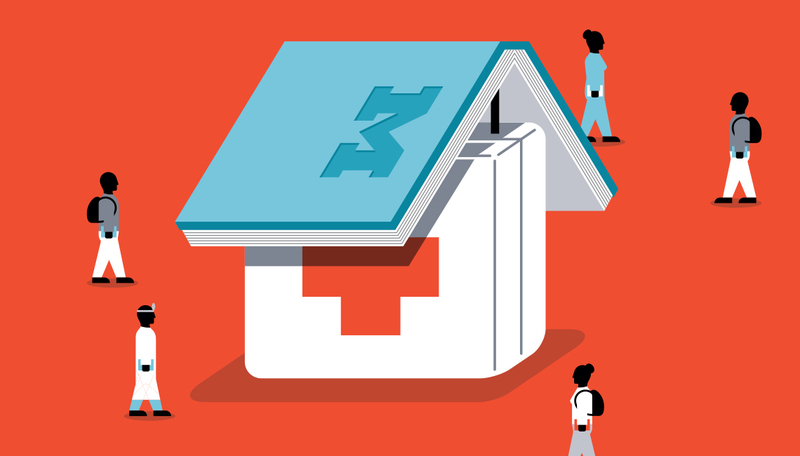 Within the houses, 10-12 students will be paired with two faculty members to form a doctoring group, which they will remain in throughout their four years of medical school. The group will complete a doctoring course, with sessions held weekly during the first year. It will cover physical exam, diagnostic and communication skills, as well as more abstract concepts like health disparities, effective collaboration with patients and families, and stress management and professional wellness. The M-Home will serve as a “home base” for medical students, allowing them to collaborate within smaller groups of classmates and faculty that will follow them throughout their medical education. The relationships fostered by the M-Home model are also intended to offer students more access to faculty mentors and advisors. The collaborative approach of learning communities in medical education reflects the shift to team-based medical practice that is occurring in the national health care system. And as that system continues to evolve, the M-Home aims to help U-M medical students develop the skills and values to evolve with it.